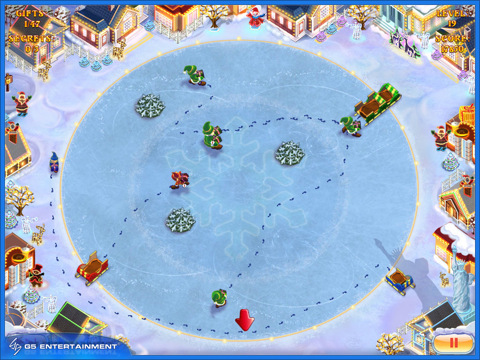 Elves Inc: Christmas Mission HD puts Christmas in your hands as an omniscient elf traffic director meant to send everyone to their rightful sled. If you succeed in delivering enough gifts without letting your elves crash into one another, everyone in the land gets the items on their Christmas list. Let your elves collide before they reach their sled though, and your error cancels Christmas. There are many games that use this navigate-and-deliver premise (e.g. 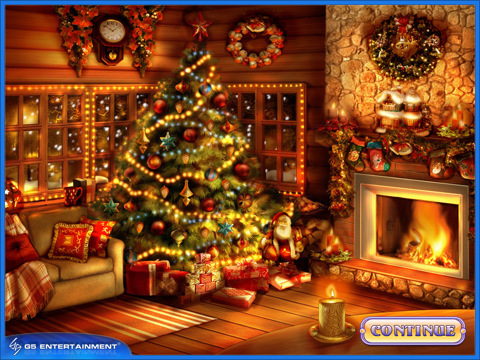 Harbor Master, but Clickgamer and G5 Entertainment did an excellent job with this newly formed Christmas classic. 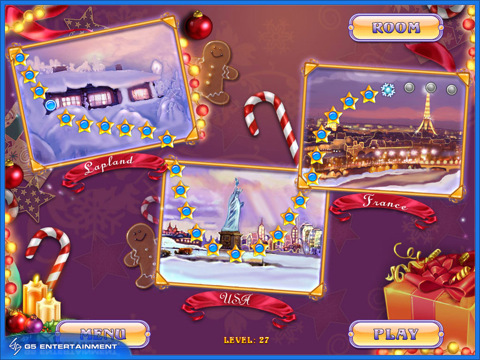 The game begins with a main map of levels that starts in Lapland and then proceeds to the USA and France. Every main place contains ten embedded levels, and with every level the requirements get more difficult. At the start you have to deliver five gifts with the option of finding three secrets (for extra points) but as the stakes get higher so do your delivery standards. Before long your delivering twenty or thirty gifts as as the elves below fill the screen in need of your guiding finger directing them to their final destination. Conceptually all this sounds easy, but actually helping Santa pack up the sled requires both close attention and dexterity. Part of the reason for this has to do with the shear number of elves who are moving about the screen. The real challenge is all about their varying delivery speeds though, and the fact that the second they bump into a tree, obstacle, or the edge of the playing screen they bounce straight back in the opposite direction. The result is mass chaos, but a wonderful kind of mass chaos that feels like a warm reflection of the holiday cheer. The game’s soundtrack is warm and cheery, and the creators absolutely mastered the sound of trudging through packed snow. At the end of each level you receive a kind of performance evaluation on the secrets found and the successful execution of your supply contract. Then you’re off to another town to do the same, and as the challenges grow so do the extra features. Before long you’re dealing with more than just the initial green and red elves that have to go to their corresponding color coded sleighs, and special perks show up that include things like the ability to turn all your elves invincible (aka crash proof) for a short time). There’s also a room with a fireplace where you can bask in your achievements next to earned wreathes, decorations, and a warm crackling fire. The graphics in Elves Inc are cute as can be, making for a great little seasonal game with fun gameplay but not a ton of replay value. For a holiday title that’s fine though, and if you like delivery guidance games then this is a great title to top off the season. 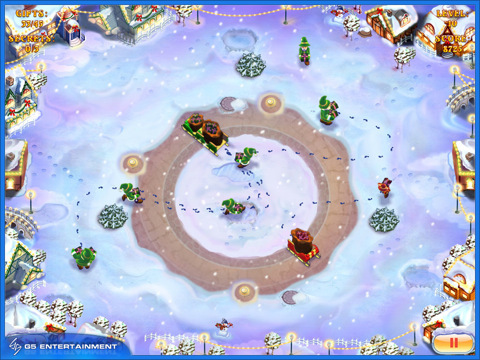 Bottom Line: Elves Inc is a fun gift delivery strategy game where you help elves safely deliver Christmas gifts to their respective sleds. Expect to stay engaged through the holidays and then forget about the game ’til next year.